Posted on 07/16/2018 by David LaMason	in Live Review and tagged Beach Slang, Charlie Lowe, indie rock, James Alex, Philadelphia, Polyvinyl Records, pop-punk, power pop, punk, Quiet Slang, Rock and Roll Hotel. Beach Slang — the loud, driving, heart-on-your sleeve band led by James Alex — has been making their brand of Replacements-tinged powerpunk for a few years now. 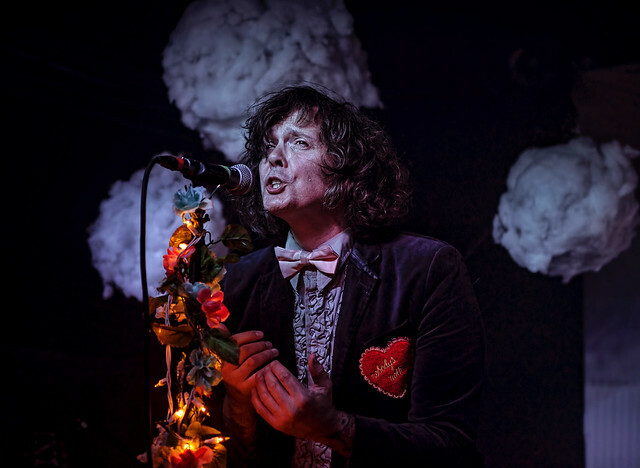 Beyond the rough and noisy exterior, Beach Slang songs are about connecting with the feeling of being different or an outsider or being yourself despite what others think. But there’s a soft center to that hard exterior. So when James Alex announced the new quiet focus on Beach Slang songs with a project called Quiet Slang, it seemed like a natural extension. The resulting album, Everything Matters But No One Is Listening, is a beautiful retelling that sounds natural instead of forced, particularly when presented at Rock and Roll Hotel on Thursday. 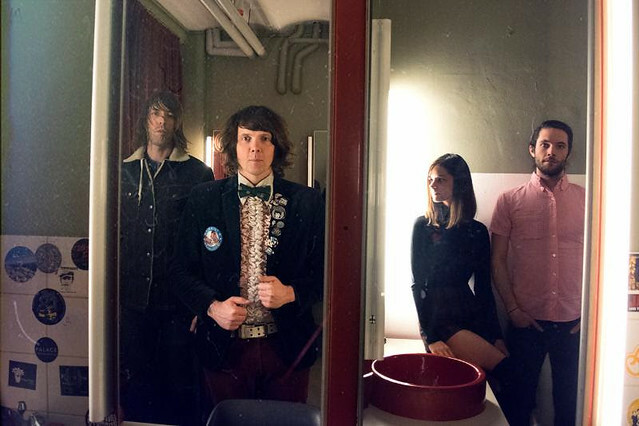 Posted on 05/04/2018 by Mickey McCarter	in Live Review and tagged Beach Slang, chamber pop, James Alex, Philadelphia, punk, Quiet Slang, Rock and Roll Hotel. Editors Note: This show was originally scheduled for May 19. 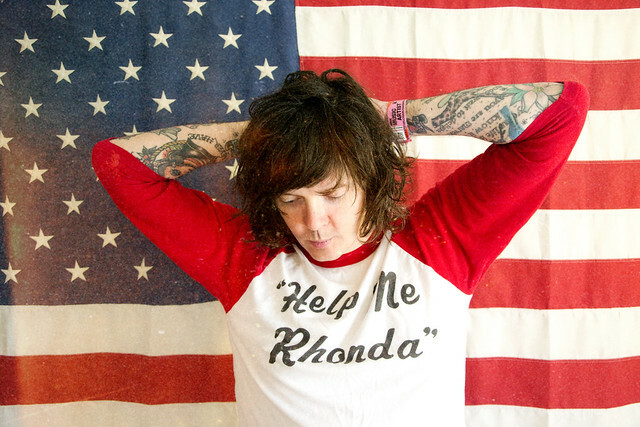 James Alex of Beach Slang releases an album under the banner of Quiet Slang on May 18. Quiet Slang then launches a tour in June, presenting some of the new songs from Everything Matters But No One Is Listening, to be published by Polyvinyl Record Co., with a stop at Rock and Roll Hotel on Thursday, July 12. 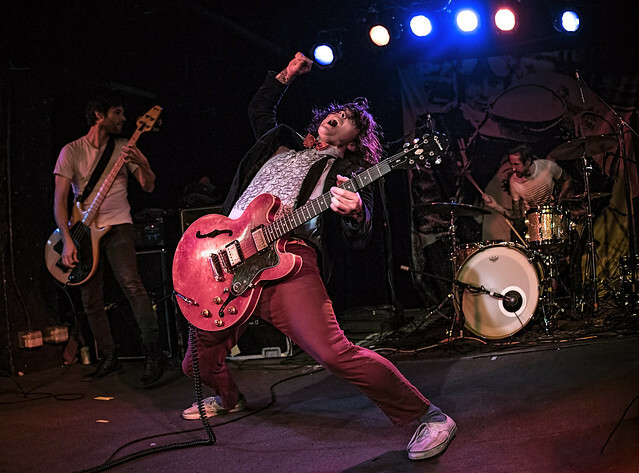 Posted on 12/01/2017 by David LaMason	in Live Review and tagged Beach Slang, Black Cat, emo, James Alex, Philadelphia, Polyvinyl Records, pop-punk, punk. It goes without saying that Beach Slang have been having a difficult year. There was the well-publicized changes in band members in 2016, immediately followed by the first of two thefts where all of their gear was stolen. The second coming this past month in Seattle where their tour van was stolen. But it’s a testament to the spirit of Beach Slang that they not merely continue on or go through the motions, but they consistently play some of the best heart-on-your-sleeve-seat-of-your-pants rock ‘n’ roll every night. And at Black Cat, James Alex and Company poured out those hearts on Tuesday. Posted on 03/29/2017 by Mickey McCarter	in Live Review and tagged Beach Slang, Black Cat, James Alex, Philadelphia, proto-punk, punk. James Alex fronts a new Beach Slang at Black Cat on March 24, 2017. 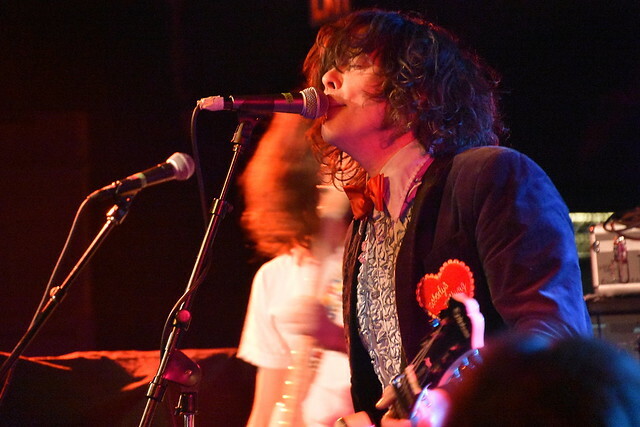 James Alex of Beach Slang found himself in an unexpected situation when he performed at Black Cat last October. He came solo on the heels of the band’s second studio album, A Loud Bash of Teenage Feelings, released in September via Polyvinyl. Posted on 03/21/2017 by Mickey McCarter	in Live Review and tagged Aurore Ounjian, Beach Slang, Black Cat, James Alex, Minus the Bear, Philadelphia, punk. The new and improved Beach Slang returned to the United States last night, and they are making a beeline to DC to open for Minus the Bear at Black Cat on Friday, March 24. The show is sold out, but make sure to arrive early for Beach Slang if you’re already going!